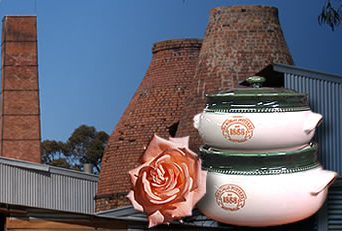 - Bendigo Pottery is Australia's oldest working pottery. It was established in 1858 and features the most significant collection of heritage-listed, wood-fired kilns in the world. - Mine Experience Tour - Sixty metres underground, don your hard hat and lamp and walk in the footsteps of miners who discovered almost one tonne of the world's most precious metal. Australia’s golden history provides fascinating insights into how the thirst for a better life led many people from distant ports to travel great distances, enduring extreme hardship to seek greater wealth for themselves and their families. - Experience a living history of the Chinese people of Bendigo from the gold rush to the present at the Golden Dragon Museum - Victoria's first accredited museum. The Golden Dragon Museum's Kuan Yin (Guan Yin) Temple is the first temple built to honour the Goddess of Mercy in Australia. The official consecration of this temple took place on 30th November 1996, following the customs and traditions of both Buddhism and the Bendigo Chinese Community. Open to worshippers and the general public 7 days a week, except Christmas day. - Be delighted by the historic wide streets and remarkable architecture that serve as a reminder of the city founded on Australia's richest goldfield. A recorded commentary will recount the golden past, famous people and unparalleled wealth of this grand backdrop. Bendigo's fleet of Vintage Talking Trams have all been restored here in the Bendigo Tramways Workshop. The workshop also carries out restoration works for other depots and museums around Australia and overseas.